Here are some of the more noteworthy things available in the Neon.2 update release which is now available for download. 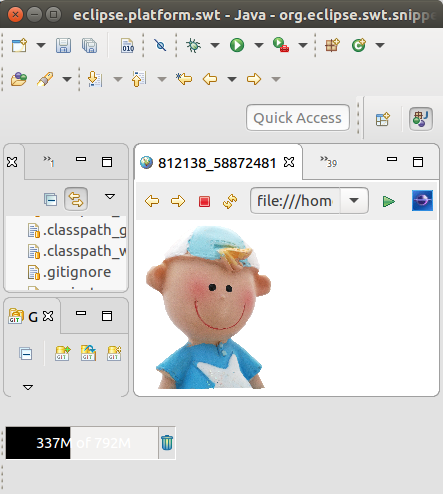 Improved default styling for the toolbar (new in 4.6.1) The styling of the window toolbar has been improved. On Windows, the toolbar color is now consistent with the color of the perspective switcher. 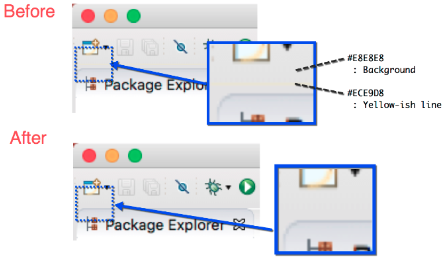 Images are opened in the Eclipse IDE (new in 4.6.1) Image files are now opened directly in Eclipse by default. The Internal Web Browser has been registered as default editor for files with the png, jpg, jpeg, gif, bmp, and ico extensions. 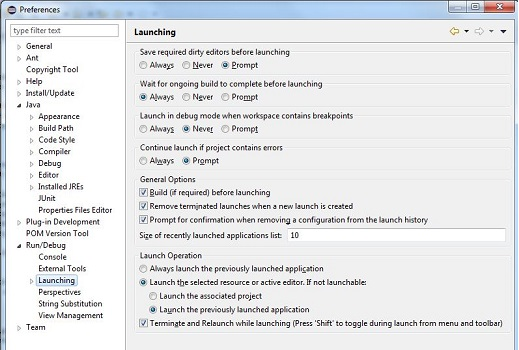 "Terminate and Relaunch" from Run menu, context menu and tool bar (new in 4.6.1) A Terminate and Relaunch option is now available while launching from Run menu, context menu and tool bar. The default setting is to launch without terminating previous launches. To enable automatic termination, select the option Terminate and Relaunch while launching on Preferences > Run/Debug > Launching. Command icons shown in Quick Access (new in 4.6.1) Quick Access (Ctrl+3) now shows the icon for a Command if available. Otherwise, it still shows the default blue ball. 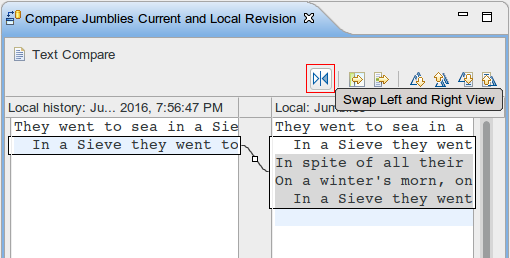 Configure left and right sides in Compare editors (new in 4.6.2) Compare editors now offer a button Swap Left and Right View. 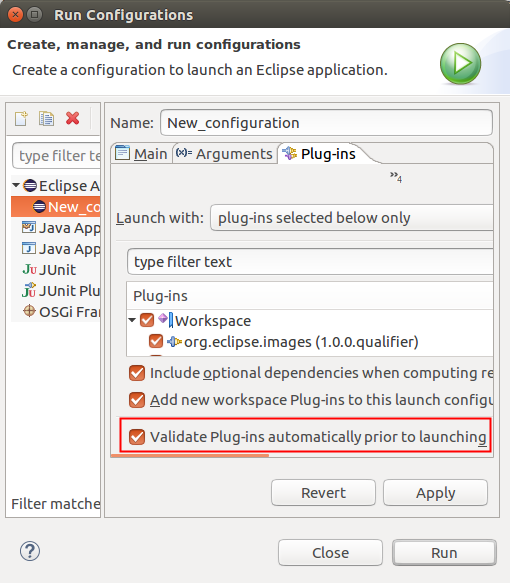 Validate launch configuration activated by default (new in 4.6.2) When you create a new Eclipse Application launch configuration, PDE will now by default enable the option to Validate Plug-ins automatically prior to launching. This helps you to identify missing plug-in dependencies before the actual start of the application and makes it easier for new plug-in and RCP developers to identify common problems. 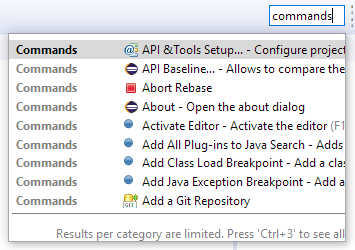 You can disable this validation in the launch configuration dialog, on the Plug-ins tab. 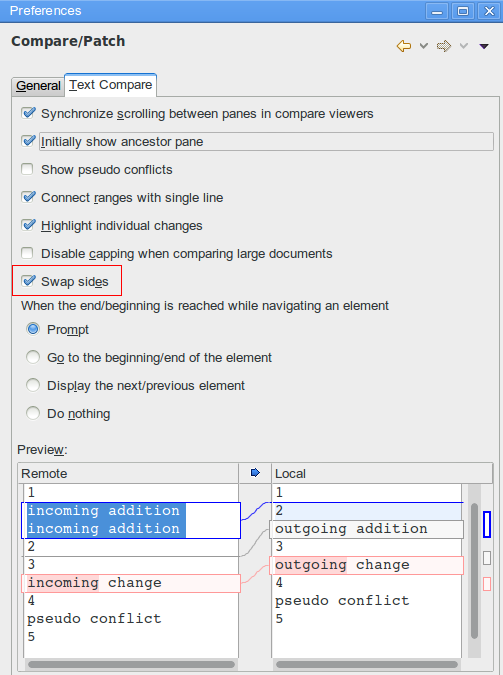 Stable sorting in viewers based on ViewerComparator (new in 4.6.2) The org.eclipse.jface.viewers.ViewerComparator now ignores decorations from a DecoratingLabelProvider during its sorting. For example, if the EGit team provider is used, it prepends "> " for changed files. This additional "> " is now ignored. The above features are just the ones that are new in the Neon.1 and Neon.2 update releases. See also the News for Eclipse Neon. Neon.3 was a bug-fix release without notable new features.